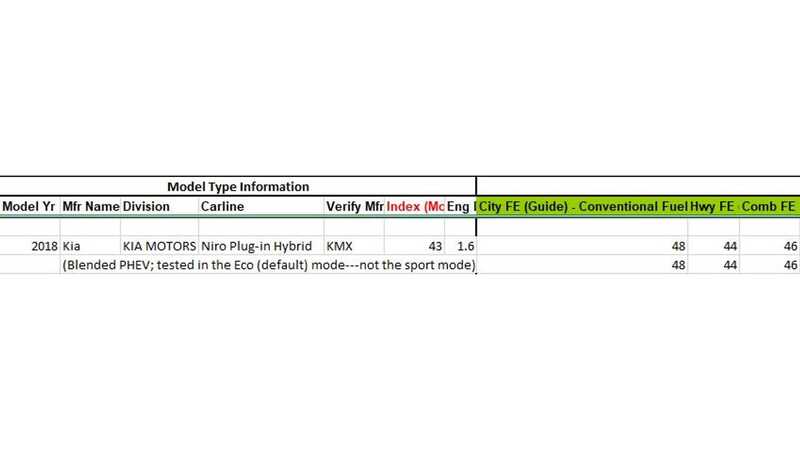 Production of the U.S.-bound Kia Niro PHEV began back in October, yet we've just now received official EPA ratings for the plug-in SUV. "Get the latest news on the 2018 Niro Plug-In Hybrid, coming late 2017." 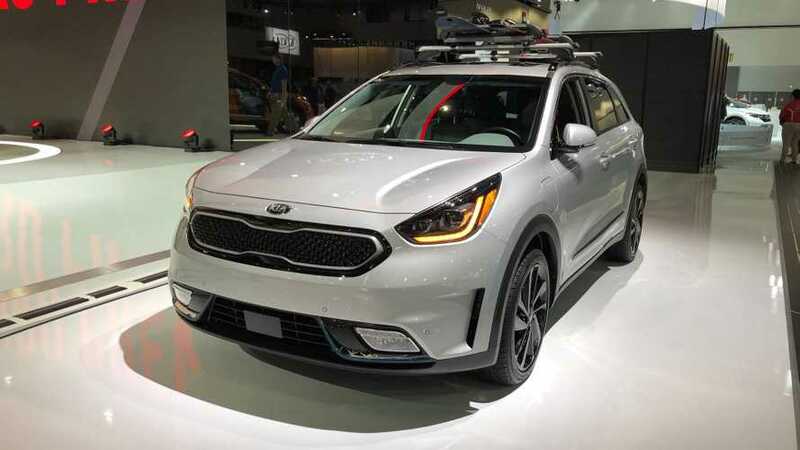 The Kia Niro PHEV has been officially rated by the EPA at 26 miles of electric range combined and 46 MPG. Total range is some 560 miles. 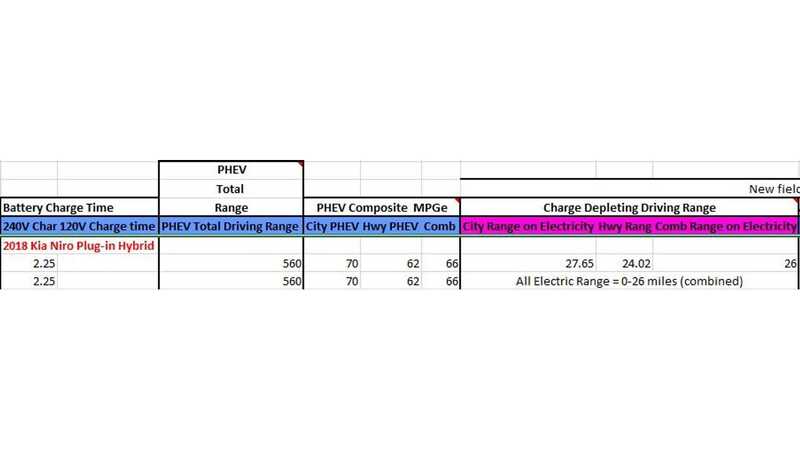 The PHEV composite MPGe figures seen below are not what you'll see on the window sticker. The window sticker will show a combined MPGe figure of 105. We should note that, as is typically the case with Hyundai/Kia offerings, all of the confirmed figures fall in line with the automaker's previous estimates. 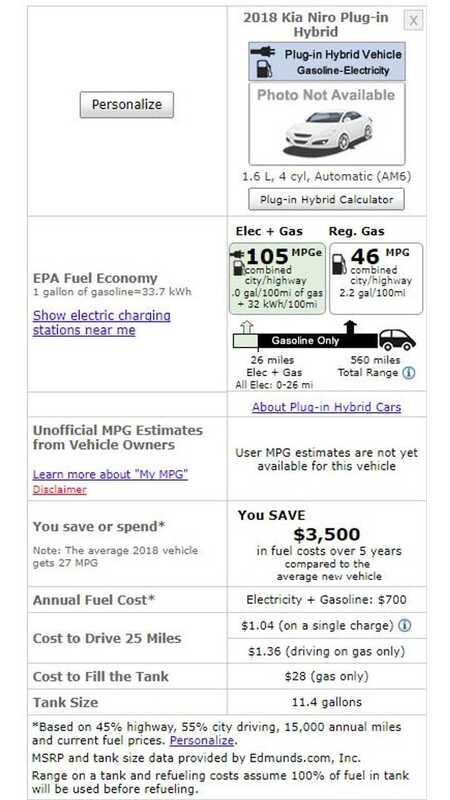 Those estimates where 48 MPG city, 44 MPG highway and 46 MPG combined, with 26 miles of electric range. We feel pretty confident we can trust the early release figures from Hyundai/Kia now. 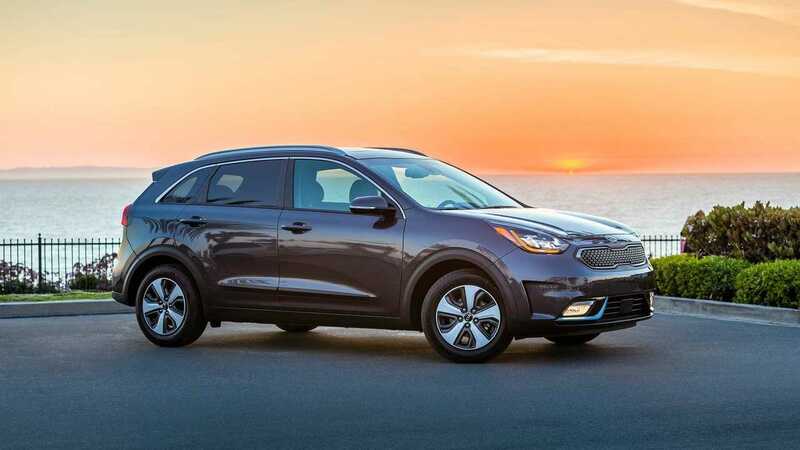 Check out our comprehensive overview of the Kia Niro PHEV here.